Caroline (?) married Henson Houghton, son of Richard Houghton. M. A. (?) married E. Houghton. Josh Haughton married Rachel (?) in circa 1873 Mar 27 y in 1900 census. Anderson Haughton married Mattie (?) in circa 1896. 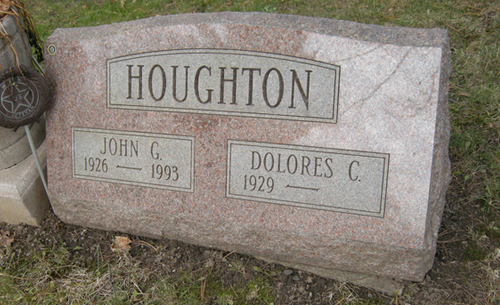 John W. Houghton married Helena Longstreet in circa 1920 age 24 and 28. Charlotte R. (?) married Edwin Clair Houghton, son of John Brugh Houghton and Nannie Ray. Joseph Houghton married Dorothy Irwin. Irene Matthew married Alfred Eugene Houghton Sr, son of Arthur Foster Houghton and Laura May Asay. John Gerald Houghton married Deloris Conaway.